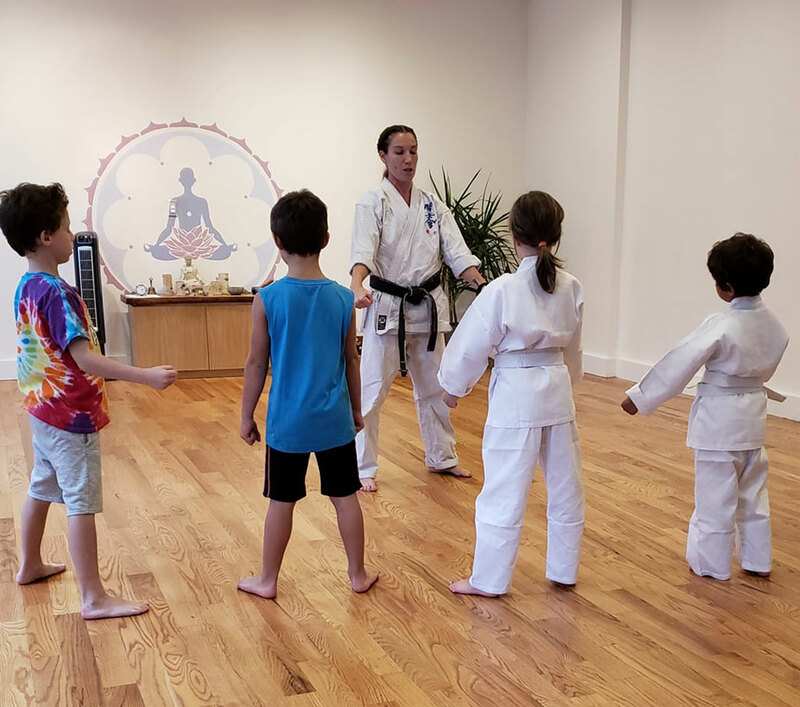 UWS Kenshikai BKLYN opened in September 2018 at Loom Yoga in Williamsburg, Brooklyn! We offer traditional karate classes to children ages 3-8. 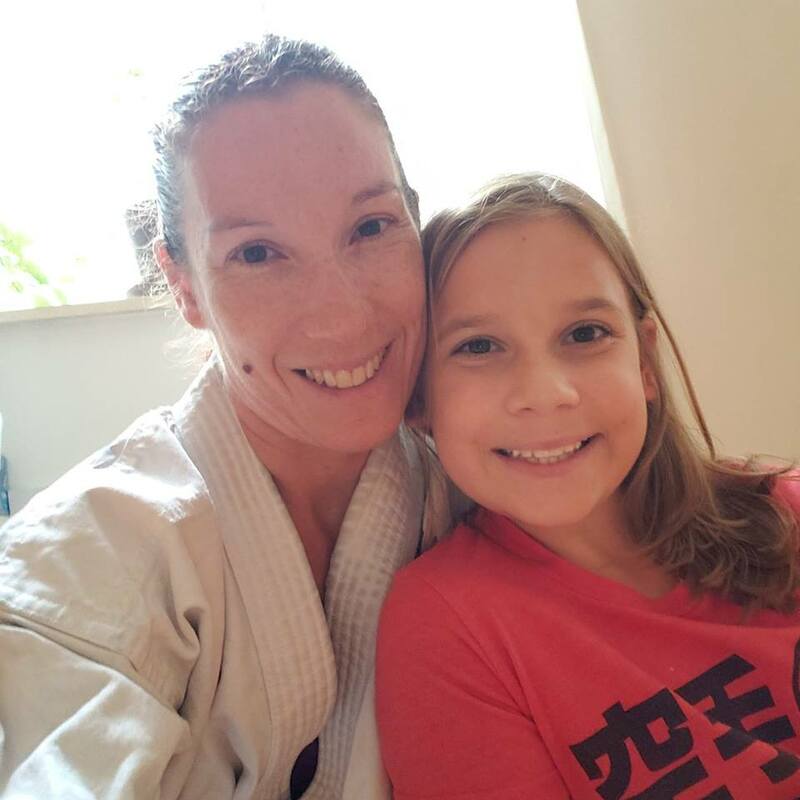 All classes are taught by Kyoshi Jennifer Fremon, a fifth degree black belt in Kenshikai Karate and former preschool teacher. On Mondays she is assisted by our student leader, junior black belt Maya Fremon. Senpai Maya has been praticing karate since she was 3 years old! Pre Karate classes (ages 3 and 4) combine basic techniques and stretching with fun karate games and obstacle courses. 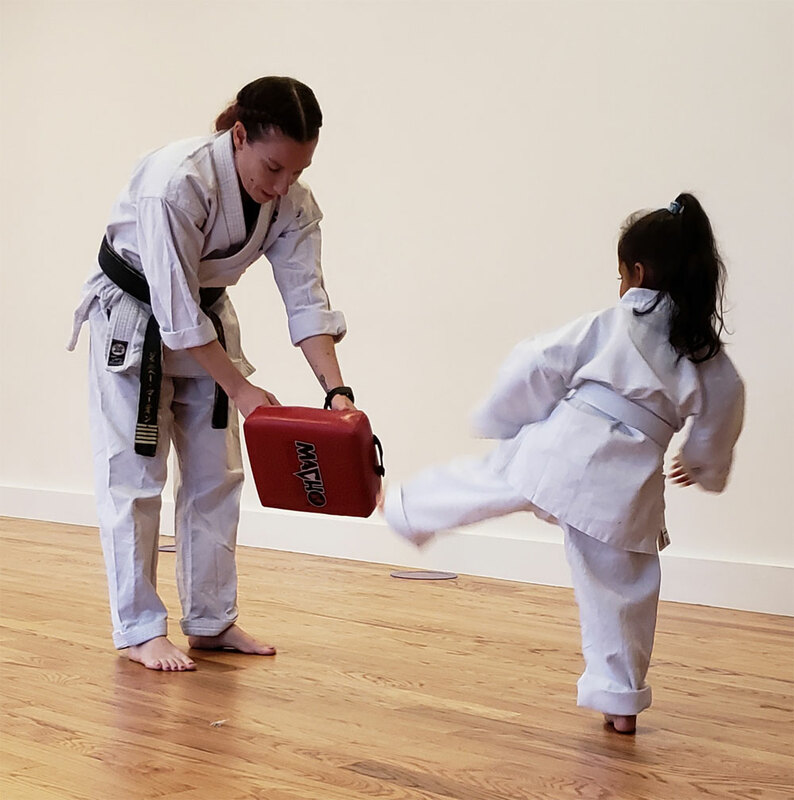 In our older kids classes (ages 5-8) children work on karate techniques, katas (forms), strengthening exercises, and self defense skills.